I really did not feel like getting a ton of craft stuff out today, but Higgins was super bored and wanted to make something. 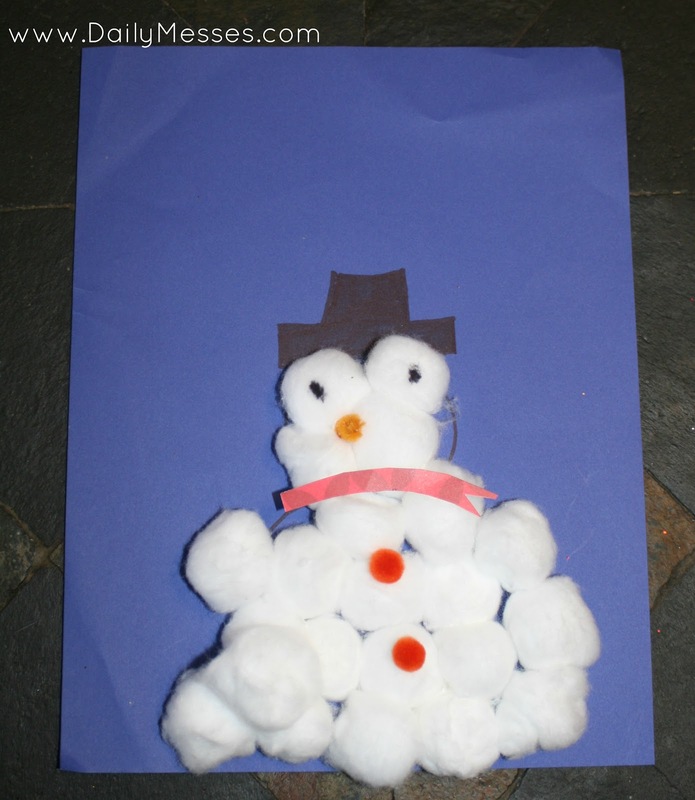 This cotton ball snowman is really easy for kids to make. It might not turn out in a perfect round shape, but they will have fun making it! Pom Poms, mini bells, yarn, etc. 1. 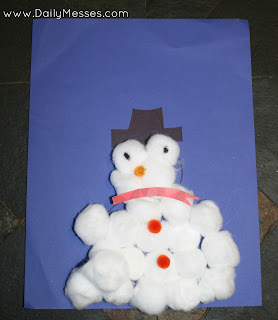 Draw a simple snowman shape on the piece of paper. I used only 2 circles to make it easy. 2. Optional: Draw on a top hat and color in with a marker. 3. Glue cotton balls inside the circles. 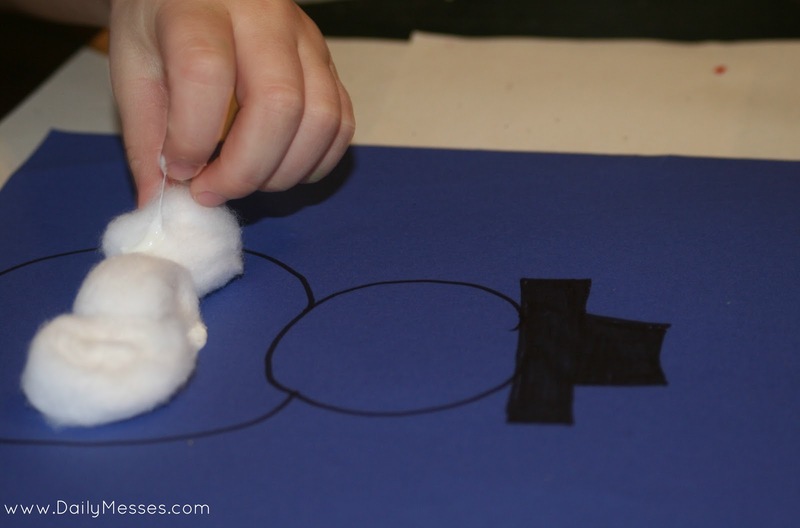 There are several ways to do this: place glue on cotton ball and hand to your child to glue on, or place some glue in a small container (like a small plastic lid or soda bottle cap) and let them dip the cotton ball in and place on. 4. Create a scarf. This could be from yarn, paper, pipe cleaner, etc. 5. Draw on eyes with marker or glue on googly eyes. 6. Glue on buttons. These could be actual buttons, pom poms, bells, etc. 7. Glue on a nose. I used a piece of pipe cleaner, but this could also be made from paper, craft foam, etc.